Sometimes a series of events take place in the same place and time and, although they are unrelated, it’s hard not to make connections and comparisons. The beauty of Rome, we know, comes with strings attached. It attracts all, and like a beautiful woman it sometimes falls victim to abuse. 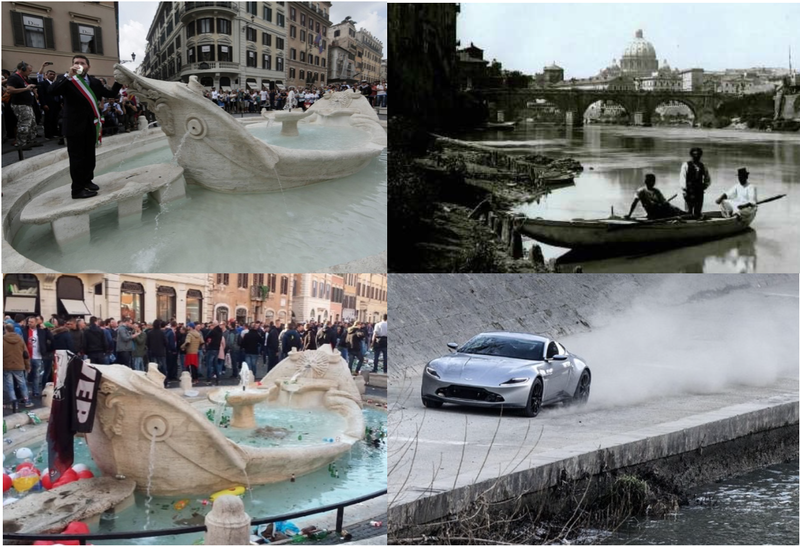 Everyone is talking about the damage done to Pietro Bernini’s Barcaccia fountain below the Spanish Steps by Dutch football hooligans. I’ve commented on this elsewhere in the blogosphere: the world has some uncivilized people and we need to prevent them from doing harm and hold them accountable when they break laws. It’s really that easy, but as the broken window theory proves, when seemingly small acts of vandalism are left unchecked, others are quick to follow. 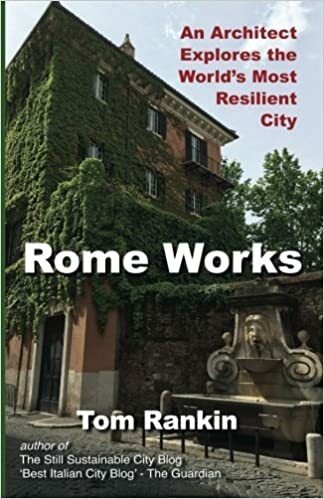 Foreigners who know they could never get away with crimes at home, see criminal acts everywhere in Rome, shrug, and say “when in Rome…” I’m not justifying them, just explaining why I think it happens. What really angers me and many Romans is that the rowdy fans were accompanied to the stadium for the match in public buses, at our expense, and they proceeded to destroy those as well. So today, Sunday, because of high pollution levels city officials have banned most automotive circulation throughout most of the day. There is also another match at the Stadio Olimpico. (I have no idea who is playing and don’t really care.) The “grace period” during which cars could circulate was extended so that people could drive to the stadium. Instead of insisting that fans use public transportation, they sent the message that it was better for them to drive. And once there, they are allowed to park on the sidewalk, on the bike path, on the crosswalks, and just about any where else because somehow soccer fans are immune from the law. I guess the Dutch fans saw it that way too. None of this really riled me; I have lived here long enough to be used to worse. And besides, I had a great day walking around the city, shooting video with my son. I even joined a Retake cleanup outside my building, seeing the street looking better than it has in years. 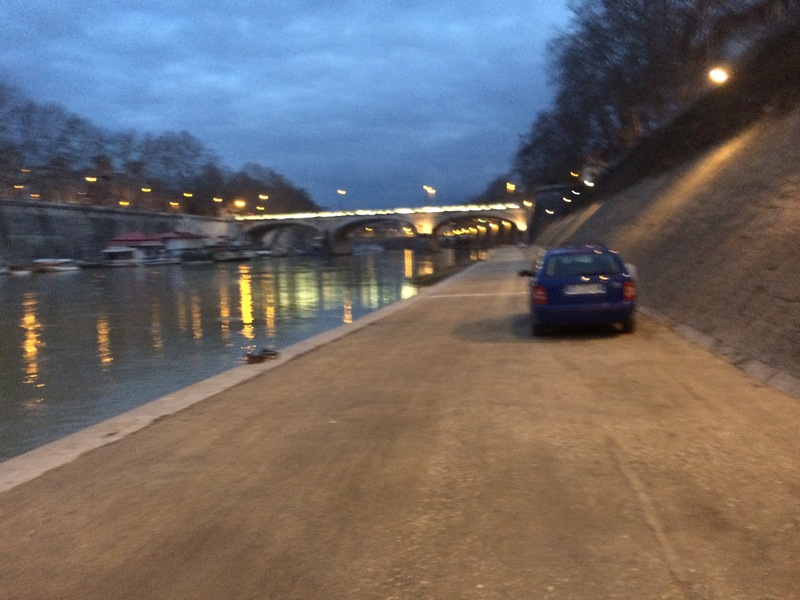 I should have let the day end on this positive note but curiosity took me out again, by bike, down the the Tiber banks. After strutting through the filming of Spectre, the latest Bond film, at the Colosseum the other day — they closed the whole area moments after I got through — and hearing that they were shooting on the river I wanted to see exactly what impact this would have. After all, the organization I direct, TEVERETERNO, has been working for several years to get permits to selectively clean the river walls to create a free public art work by William Kentridge, and I had heard that the 007 crew was doing some pretty invasive things. I have huge respect for film crews, and love that Rome is honored to be the set for so many great productions. 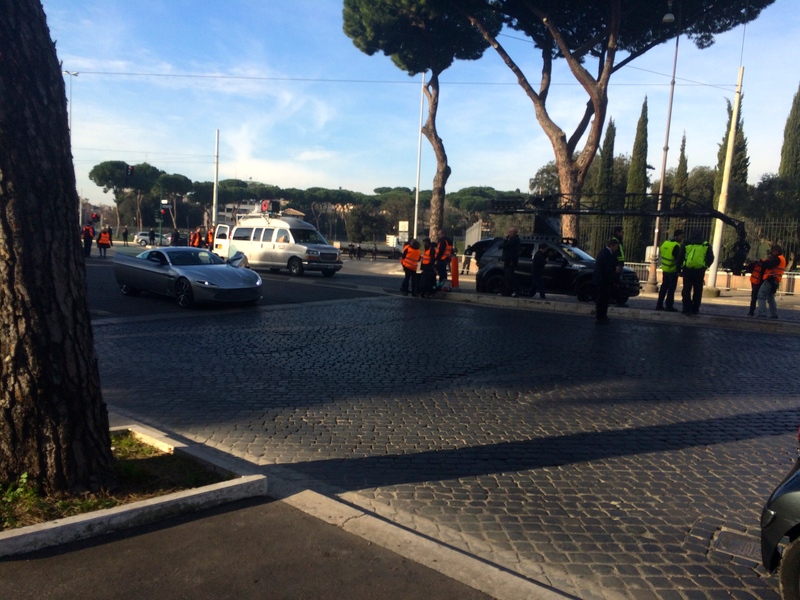 The concrete ramps they built for the car chase along the bike path above Ponte Regina Margherita have permits from the same officials which gave the green light to the Stones concert in Circus Maximus and will certainly grant permission for the site-specific art works we are proposing for Piazza Tevere. 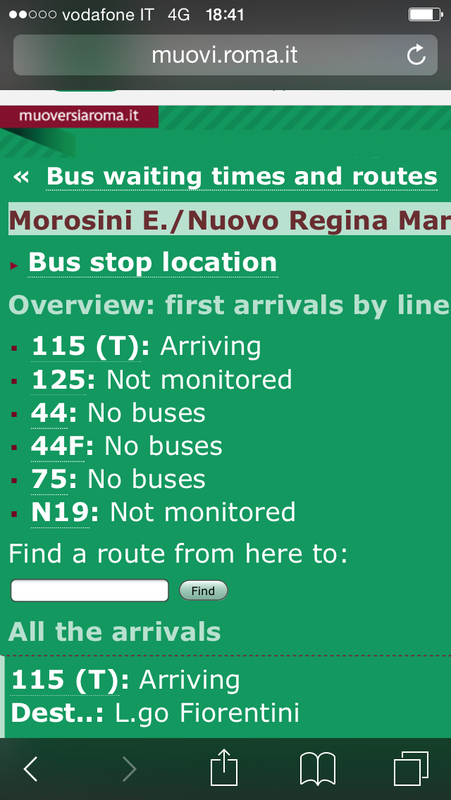 Despite the “blocco del traffico” traffic was nearly as bad as usual, maybe worse because slightly few cars meant that those on the road were speeding faster than usual. Of the many exceptions the most offensive one was for “Euro 5” cars, a gift for rich people who always buy the latest auto available. Guaranteed results: People who normally shun public transit will experience its comfort and efficiency and think about using it regularly. People will walk or bike and, finding the city free of cars, realize how safe, fun and efficient it can be. People who violate the ordinance will pay big fines, providing needed revenues and re-enforcing the message that cars are costly. 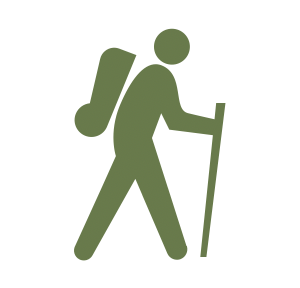 Do this and you can expect more film crews and other foreign investments, and fewer hooligans. There is Giovanna (name here and in the following changed), a young woman working at an institute, being interested, eager to do something, to learn — and the only thing she can really learn, i.e. the “area where she gains experience”: trying to jump over hurdles, not running against them and getting (too much) hurt. There is Lucia, a young doctor, having difficulties to avail of additional training, just a matter of being allowed to choose and go to a course for further professional development. There is Giorgio, a young social scientist, trying to get from one job to another, working over-hours, or perhaps not as at least in this respect he has a contract without limitation – he may work as many hours as he “has to” to be recognised, ad to be “better as the others”, the limitation of his contract allows that for a year, perhaps for another year, hopefully for …). Three youngish people, very privileged; and I guess there is now real danger of seeing one of them one day (soon) to do something like it. But three other youngish people, being not as privileged as these … – no, definitely don’t want to excuse them; I even do not really “understand” them. But I understand even less these Mr politicians etc, who fertilise the ground.